Endeavor’s #HerImpact series is part of our ongoing commitment to increase gender diversity within the Endeavor network. #HerImpact is devoted to elevating the voices, sharing the perspectives, and showcasing the professional expertise of women in Endeavor’s global network. Learn more about how you can get involved with Women in High Impact Entrepreneurship at Endeavor here. Many of us hear the word entrepreneur and immediately think of a brave individual who forgoes a career in an established organization to pursue a new and potentially risky venture. But as Howard Stevenson suggests in his definition in the opening quote, entrepreneurship has nothing to do with size of company, age of company, or what industry your company is in. Instead, Stevenson’s definition expands our understanding of entrepreneurship as a way of leading that focuses on pursuing opportunity rather than simply managing today’s businesses. When defining future opportunities, entrepreneurial leaders must be able to clarify the assumptions they are making about the strategic position they want to achieve, the capabilities and resources needed to achieve that position, and the value that will be delivered to all stakeholders. Since assumptions are based on forecasts, entrepreneurial leaders must also learn to identify key areas of uncertainty and relentlessly test and refine the business model assumptions as they engage the market and launch the new venture. Finally, once the new venture gains traction with early adopter customers, entrepreneurial leaders must transition to high growth and continue the process of innovation as they build a business that can exploit the full potential of the opportunity over time. This shift from thinking about entrepreneurship as a stage in launching and growing businesses to a way of leading a business throughout the innovation lifecycle is critical for success in the turbulent 21st century. 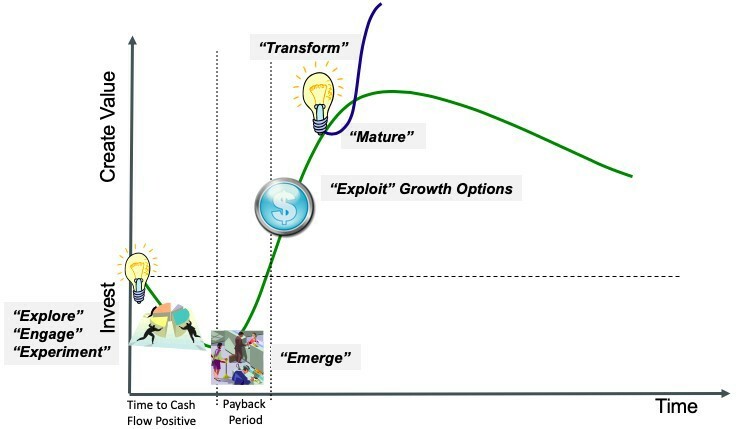 Exhibit 1 maps the innovation lifecycle activities to the cash flow curve of a successful high growth business. 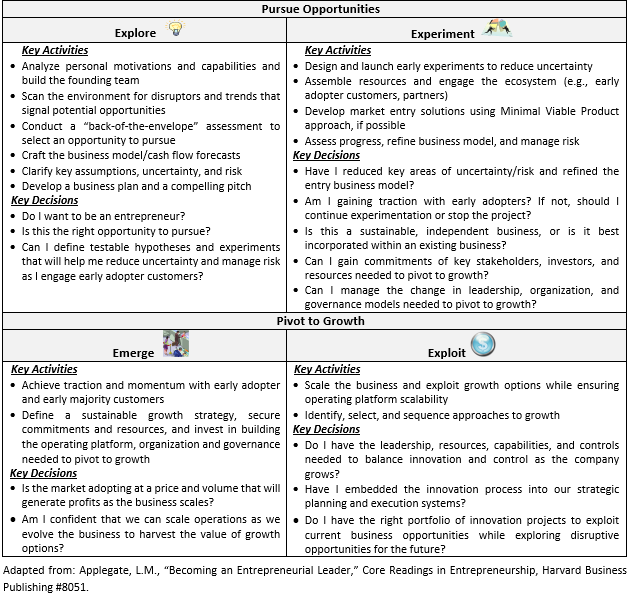 Exhibit 2 highlights the key activities and decisions as entrepreneurial leaders launch and grow a successful business. It is important to note that progress through these phases is not a straight path. Instead, the key activities and decisions are often interconnected, and the insights gained in one phase prompt refinements in others. Along the way, entrepreneurs may discover fatal flaws in the business model and decide to modify or exit a business. The experience of Marla Malcolm Beck (CEO) and her husband, Barry Beck (COO), as they launched and scaled Bluemercury is an excellent example of leading innovation throughout the lifecycle. The next section describes their entrepreneurial journey. 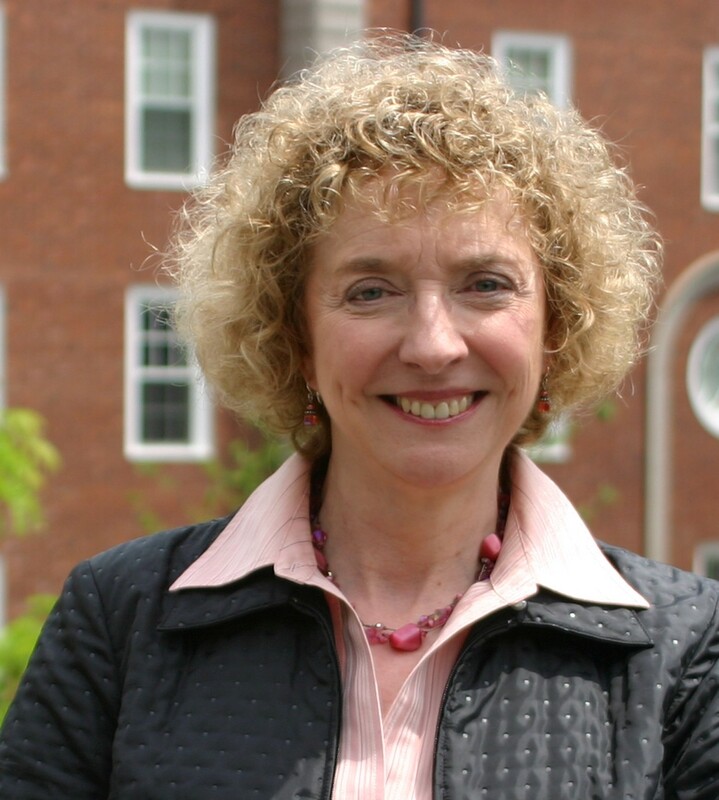 Marla Malcolm Beck began work on the original Bluemercury business plan while still an MBA student at HBS in the late 1990s. Intrigued and encouraged by the frenzy around Internet commerce, Marla’s initial idea for Bluemercury was to build an e-retailer website that would sell high end beauty products em to women in the luxury retail consumer segment. In addition to selling products, Bluemercury would also provide women with recommendations and information from beauty experts. After graduation, Marla began working as an analyst in a Washington D.C. private equity firm and continued working on the business plan with Barry Beck, an entrepreneur she met when he sold his building maintenance business to the private equity (PE) firm she had recently joined. Marla and Barry, who married shortly after launching Bluemerury, raised angel financing in early 1999 and used it to begin building the Bluemercury online e-commerce store. However, two weeks after Bluemercury received its first round of seed funding, two heavily funded competitors announced that they would be launching in the summer of 1999. Bluemercury faced its second roadblock when Marla and Barry found that many of the suppliers of high-end beauty products were reluctant to sell on the Internet. Despite discouragement from their investors, Marla and Barry decided to use their own money to purchase EFX, which owned a Washington D.C. specialty beauty store and spa. In November 1999, Marla and Barry opened their new Bluemercury store and spa. They also launched Bluemercury’s website and trained store personnel to help customers establish a Bluemercury.com account that enabled them to connect with beauty experts to learn about new products and to purchase products and sign up for re-orders. In 2001 — as other dot-com retailers were declaring bankruptcy — Bluemercury’s “omnichannel experiment” was generating positive cash flow, and the founders recognized that it was time to transition to growth. They began by scaling their current business, raising angel financing to open additional stores. By the end of 2005, Marla and Barry had opened 10 Bluemercury stores in high-end East Coast neighborhoods and revenue had grown to $17 million, almost doubling from year-end 2004. To raise money to finance future growth, in spring 2006, the founders sold an equity in Bluemercury to a PE firm at a pre-money valuation of $62 million. The financing was provided to rapidly accelerate the rate of growth by opening Bluemercury stores throughout the United States in high-end neighborhoods and shopping malls. But soon after the investment, Marla and Barry noted a downward trend in same-store sales. At the same time, careful scanning of longer-term macro-economic indicators showed a growing credit bubble. As a result of the rigorous analysis — not just of their growth opportunity but also of their existing business — Marla and Barry decided that it was not the time to pursue aggressive growth. After several heated discussions, the board agreed. In late 2007, while most were investing in real estate, Marla and Barry cancelled all of the recently-negotiated real estate contracts to open more stores and, instead, began to cut cost in their existing stores and corporate office. As a result, when the stock market crashed in late 2008, Bluemercury had the cash it needed to weather the downturn and, in 2009, the company was back on its growth trajectory. This time, however, Marla and Barry did not just continue opening new stores; instead, they also expanded Bluemercury’s scope by launching their own skincare line under the M-61 brand. The new product line leveraged the company’s existing strategic position and its existing omnichannel retail platform, enabling Bluemercury to continue to grow profitably. In 2014, as Bluemercury celebrated its 15th anniversary, the company had over 1,000 employees and was finalizing plans to expand its highly successful M-61 product line to international markets, to launch new beauty brands, and to take M61 to home shopping networks. As we saw in the Bluemercury example, entrepreneurial leaders, like Marla and Barry Beck, begin launching a new venture by defining a strategic position that they believe will enable them to enter a market with a product or service offering that will create value for all stakeholders. They must then access the resources and build the capabilities needed to turn their opportunity into a successful business that generates positive cash flow. In the beginning, however, these cash flow forecasts are based on assumptions of what will drive revenue and cost in the future and these assumptions must be tested at the time of entry. Rarely do these entry experiments proceed without refinement of the business model. As we saw with Bluemercury, the early assumptions that high end cosmetic and skin care suppliers would want to sell online proved false. So too, did the assumption that competitors would not enter. It was only after they had successfully refined the Bluemercury business model by buying a physical store/spa that Marla and Barry could begin the transition to growth, which often begins by scaling the initial business. As growth continues, bolder strategic moves are often made to expand into new markets, products, or lines of business. 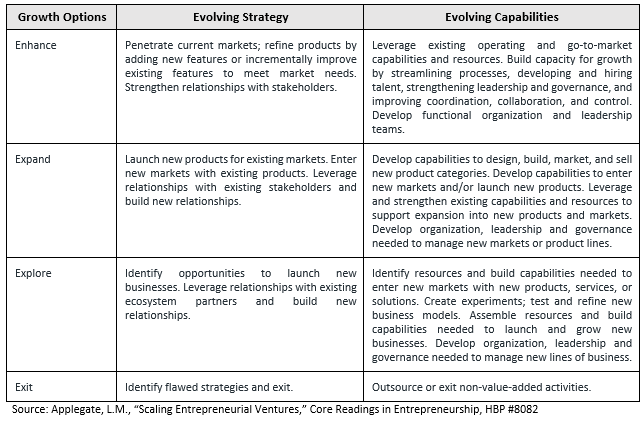 Exhibit 3 provides a summary of these approaches to growth and shows the importance of aligning strategy and capabilities when evolving a business model and transitioning to growth. It is important to note that Exhibit 3 also provides a fourth option, exit. While not technically a growth option, it is important to remember that growing a company demands continual evaluation of whether to exit an existing product, market, or line of business. I wish you success on your entrepreneurial journey as you lead innovation throughout the lifecycle. You can learn more about Professor Lynda Applegate’s work, or contact here here. Howard H. Stevenson, “A Perspective on Entrepreneurship,” HBS №384–131 (Boston: Harvard Business School, 1983), p. 3. Bluemercury Business Plan, May 1999. Data for this section was obtained from: Applegate, L.M., Leading High Growth Ventures, HBS №8082. Bill Murphy, Jr., The Intelligent Entrepreneur: How Three Harvard Business School Graduates Learned the 10 Rules of Successful Entrepreneurship (New York: Henry Holt, 2010), pp. 259–260. Applegate, L.M., “Crafting Business Models,” Harvard Business Publishing.